Organizing sales leads by source, level of interest, or other prioritization metric makes it easy to track and manage deals in the pipeline. You can organize and track leads using specially designed lead tracking software or with a spreadsheet, but the best option might be to use new or existing customer relationship management (CRM) software. For example, a CRM like Freshsales is a great tool for managing and tracking leads. This is because it can consolidate leads, activities, and contact details into a single application, giving you a way to prioritize your leads by likelihood to close. Best of all there are several affordable plans to choose from. Visit Freshsales to take advantage of its free trial to see how it can help you manage your leads. Below are seven steps you can take to organize and track your leads effectively. The first thing you should do is to evaluate the lead management software options you have available. From simple spreadsheets to sophisticated CRMs, there are hundreds of options to choose from, making it easy to find something that will help with organizing sales leads. Once you’ve evaluated your options, you’ll then want to select the best option for your business. What is my budget for lead tracking software or other lead tracking tools? Be honest with yourself about how much money you are willing and able to spend on lead tracking tools. Even if your budget is $0, there are still CRMs that could work for you. How much time do I have to enter lead data manually? All entrepreneurs are busy, making time your most precious resource. Be honest with yourself about whether or not you or your sales team will be willing to enter sales lead data manually. How much time do I have to learn how to use lead management software? Again, be honest about the amount of time you or your sales team will want to spend learning to use lead tracking software. There are plenty of easy to use tools from which to choose. Do I expect my lead generation activities to ramp up slowly or quickly? This is important because spreadsheets can become unmanageable if you’re ramping up to large volumes of data quickly or if you choose a CRM plan with data restrictions. Here are a few lead tracking options to consider along with their benefits and drawbacks. There are hundreds of CRMs on the market from general purpose to industry-specific to task or feature focused. Lead tracking CRMs have a special emphasis on managing and tracking leads throughout the sales lifecycle. For an in-depth look into the best lead management software options, see our article on the six best lead management CRMs here. Many small business owners use spreadsheets to organize and track their leads. If you know how to use Microsoft Excel or Google Sheets, it’s fairly easy to set-up a tracking system using either of these tools. In fact, we’ve written an article on how to use Google Sheets as a CRM. However, spreadsheets do require additional manual data entry. Therefore, this method should be used with caution. Email campaign software is another option for tracking and organizing sales leads. This is a viable option, especially if you plan to use email communication as a core part of your lead nurturing strategy. Most email marketing tools allow you to store contacts, send mass email campaigns, and track important metrics like open and click-through rates. The downside to using an email campaign tool alone is that you won’t be able to track other activities like calling. Once you’ve evaluated a number of lead organization and tracking options, it’s time to select the one that’s right for you. It’s important to choose an option that will grow as your business and lead generation activity grows. It may be tempting to start with spreadsheets, but if your lead generation activity ramps up quickly, it will be difficult to keep up with spreadsheets. One of the most important things you can do as part of your lead tracking efforts is to monitor where your leads are coming from. This is important so you know where to focus your marketing spend. You can do this by establishing a marketing source code system where codes are assigned to different types of leads so that it’s easy to tell where they came from. This makes it easier to create tracking reports so that you know how they’re performing. With spreadsheets, marketing source codes makes organizing sales leads by source easier, however, there’s still the challenge of manual data entry and tracking interactions. CRMs or email campaign tools make tracking lead sources easier with automation. For instance, many CRMs have web-to-lead forms that bring leads from your website into your CRM and includes engagement data and indicates that they were sourced from your website. Using marketing source codes can help you isolate and track how well certain lead generation channels are performing. Being able to track the source of your best performing leads is crucial for determining where to invest your marketing, advertising, or prospecting dollars. It’s also beneficial if you want to isolate certain groups and test and track targeted marketing messages. Once you’ve selected your lead tracking and organization tools and you’ve created a method for tracking lead sources, it’s time to create your CRM strategy and test it. No matter what tool you’re using, whether it’s spreadsheets, a CRM, or an email system, you’ll need to set it up to house, organize, and track your leads. After it’s set up, test using it before rolling it out to your team. Here are a few tips for setting up and testing your system. Your tools will more than likely come with tutorials or educational materials. There may even be some videos on YouTube you can use to give you pointers on how to set it up. Learn as much as you can about your tools or system before you begin using it. If you’re using a CRM, ask your provider for an onboarding session. In this session, let them know how you want your leads organized and what you plan to track to meet your tracking and organization goals. Freshsales offers a variety of tools to help you learn how to use its CRM software. It offers explainer videos, customer support, and a knowledge base to help you become familiar with the CRM quickly. You can also set up free consultative sessions with experts to get things up and running quickly. In these sessions, you can tell them what’s important to organizing and tracking your leads to ensure your system is set up properly. Once you’ve learned more about your tools, and they’re set up in a way that will work for your lead tracking and organization strategy, then test it. You and maybe one or two people on your team should test how it works for you before rolling it out to your entire company or before committing to buying the product. Most tools come with a free trial, so take advantage of those to see if they’re right for you. Once you’ve set-up your system and have tested it, don’t be afraid to make changes. You’ll learn what’s working and what’s not working in your first few weeks. Make the necessary changes to your new system based on what you’ve learned. If you’re using a CRM to organize and manage your leads, the changes you may include using a tool or feature like emailing or calling prospects from within the CRM versus other tools to do these things. Unless you are a team of one, when you’re done setting up your system and testing it, it’s time to roll it out to the larger group. 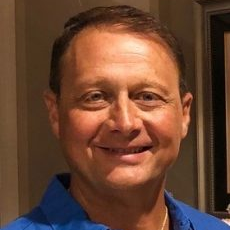 To ensure a successful rollout, it is important to create excitement around your new tools, provide adequate training, and make it mandatory to use the tools in the sales process effective by a certain date. 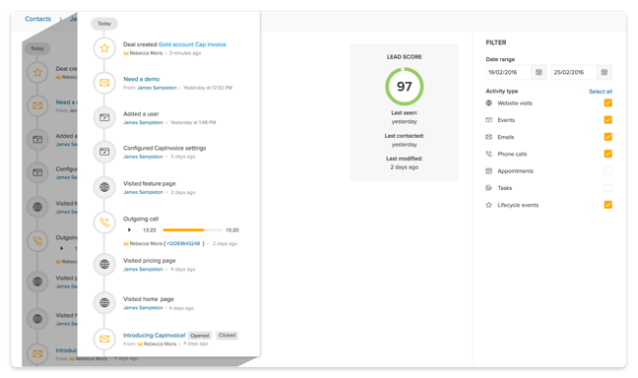 Doing these things will help ensure your team complies with using your new lead tracking tools. If in a free trial, commit to a package: If you signed up for a free trial to test lead tracking tools, enroll in a free or paid plan that will work for you. Be sure you’re able to upgrade or downgrade as your needs change. Create excitement: Get your sales team as excited as you are about using the new CRM by demonstrating how it will help increase sales and make their lives easier. Train your team: Make sure your team knows how to use your lead tracking software and appreciate the tracking and organization features. The more they appreciate these features and better they are at using them, the more they will use the tools. Make It mandatory: You must let your team know that using the new system is not optional. Let them know that it is a mandatory part of your sales process while offering incentives for quick adoption of the tool. Now, it’s time to input leads and assign them to appropriate team members. Leads are input into lead tracking systems in a variety of ways, from being entered by salespeople to being imported from other tools. After leads are entered, assign them to the right people so they can nurture and close them. This can be done manually with spreadsheets or with automation if using a CRM. The right tools can keep lead distribution organized and efficient. Below are considerations when using spreadsheets or lead tracking software. Unless you have advanced Microsoft Excel or Google Sheets skills, entering and assigning leads with spreadsheets will be very time-consuming. Both data entry and the creation of lead assignment formulas could take hours, especially with large lead volumes. Using lead tracking software, such as CRMs, takes the pain out of entering and assigning leads manually. CRMs like Freshsales automate many steps involved in the data entry and lead assignment process like entering data that may be found online or placing an assigned lead in a sales rep’s queue. Automation saves, time allowing you to use your skills on higher priority activities where you can make a bigger impact in your business. Freshsales CRM has robust lead input and assignment features. Three tools that assist in these areas include auto lead assignment, auto profile enrichment, and web-to-lead forms. Auto lead assignment assigns leads automatically to sales reps by territory. Auto profile enrichment updates lead profile information automatically with information from social media. Web-to-lead forms create leads in the CRM automatically when visitors complete web forms. You can set up specific email campaigns based on any characteristic of the lead. Targeted emails reduce the number of unsubscribes and increase the open and click rates. CRMs keep track of all these campaigns and give you the ability to identify and flag the leads most likely to respond to your campaign. Lead nurture is one of the most important components of business-to-business (B2B) or complex business-to-consumer (B2C) sales. This is the set of relationship building activities designed to turn cold prospects into loyal customers. In addition to tracking leads in terms of deal size, you should record activities like meetings and email conversations to ensure your team is following up with leads and completing tasks to help move the deal to the next stage in the sales process. If you’d rather use a spreadsheet to track lead nurturing activities, set-up your spreadsheet with columns for notes and with drop-down boxes that allow you to categorize lead tracking activities. For example, if your lead nurturing categories included meetings, phone calls, webinars, and special events, setup drop-down menus in a lead nurturing column and select the activities you used with your prospect. Lead nurturing drop-down menu in Google Sheets. Using a CRM is the best way to track lead nurturing activities because it’s easier to use and maintain and because you get so many additional features like the in-app engagement tracking that Freshsales offers. 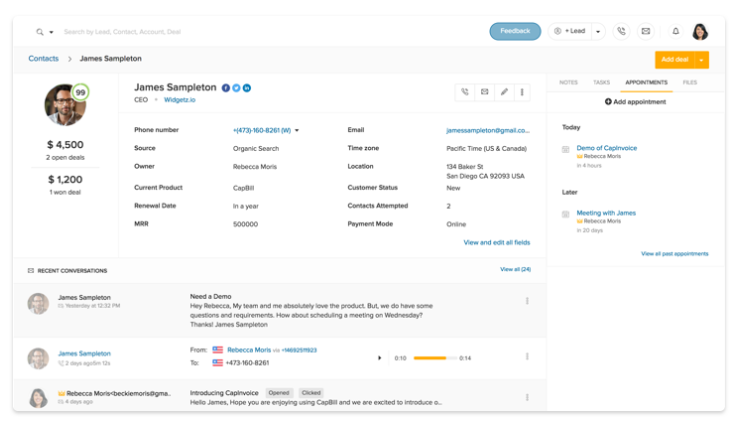 Visit Freshsales today to learn more about this and other lead tracking and organization features. After some time spent lead nurturing and tracking, you should have enough information to prioritize your leads, which is important to follow-up efforts. Lead prioritization is important so that you know which leads to focus on or prioritize first. As with activities in the previous six steps, it’s possible for prioritization to be done with spreadsheets if you have advanced skills and time to kill. The best way to do this, however, is with a CRM where it can be done automatically. Full-featured CRMs like Freshsales offer lead scoring and prioritization tools. 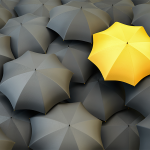 Freshsales lets you rank leads by both characteristics and behavior. It also allows you to customize your own lead scoring system so that it works for your particular business. Using a CRM like Freshsales makes it easier to score and rank leads than using spreadsheets where you’d have to be familiar with advanced features as well as have the time to keep it updated. 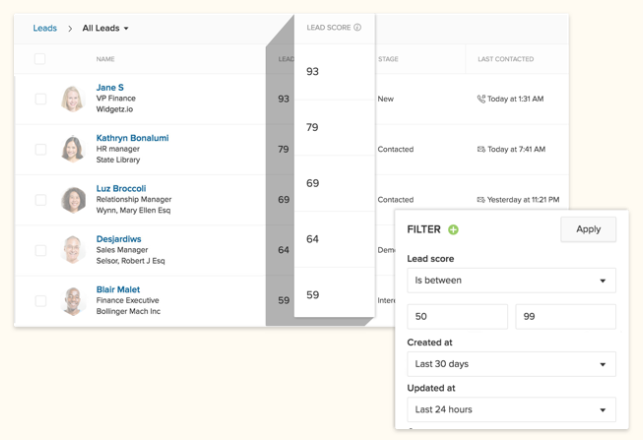 Freshsales screenshot of lead scoring which is essential to lead prioritization. Lead scores for a group of leads. What is lead tracking & organization? Lead tracking and organization is the process of identifying your lead sources and arranging them to make it easy for your sales team to prioritize and manage. What is lead tracking software? Lead tracking software is technology that helps organize and track leads. Spreadsheets can be used to track and organized leads, but CRMs are the most common form of lead tracking software. Should I use a lead tracking spreadsheet if I’m on a budget? Unless you have an abundance of time and advanced skills in Excel or Google Sheets, it’s best to use a CRM for lead tracking and organization. There are many free CRM options on the market, so a lack of funds shouldn’t hold you back. Organizing and tracking your leads is key to managing long sales cycles with high lead volumes successfully. It can be done with spreadsheets, but the most efficient way is with a CRM. CRMs use automation to help you stay organized and keep track of important metrics, giving you important insights to help you make decisions like which lead sources to invest in, which sales activities to continue and to which leads to prioritize. Freshsales CRM is a great tool for lead tracking. It offers an automated way to organize and prioritize leads, with features that include lead scoring and auto profile enrichment. To learn more about how Freshsales can help you with lead tracking and organization, sign-up for a free trial.